Some of the links in this page are affiliate links. But I only recommend the best I've read. A very interesting book. I've been thinking about a great and brilliant start of post... But I always go to plain and simple. Easy, it's a great read, and I had a hard time leaving it down: finished it in less than 3 days (amid my usual busy schedule...). The main premise in the book is that humans have evolved to run, not for speed but for endurance. But it is not a dry science book, the book tells a tale. And it is a good one. The tale is about the author and his contact with a lost tribe of ultra-athletic runners in Mexico, the Tarahumara. A tribe of long distance runners. McDougall found them during his work as a journalist (he has written for several magazines and journals) while researching in Mexico. A long time runner, he always struggled with plantar problems... And saw the picture of a almost bare footed man, running in robe and sandals. After a little research, this was a tribe of distance runners... Without foot or leg injuries. How come he could not run 3 miles without pain and they could run so much without even a pair of running shoes? Decided to settle this question, he began a quest around Mexico's deserted areas, escaping a few encounters with drug dealers. He was looking for another "searcher", known as Caballo Blanco (White Horse) to the Tarahumara in the middle of the Copper Canyon. His real name, Micah True, ex-fighter who loved long distance running. Met the Tarahumara while he was a bartender in Leadville (host of one of the US ultramarathons), when he was asked to be a pacer for them. In case you don't know, a pacer is someone who enters the race for the last 20 (or so) miles to help the runner keep its rhythm and sanity. After this contact he became mesmerised, and hunted them down Mexico, where he lived on the food people could spare and what he could hunt... While he was running up and down tirelessly. 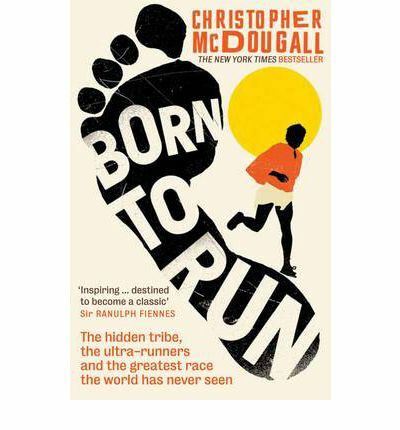 Just when McDougall arrived, he was planning a race for the next year, the (supposedly) greatest race ever: the Tarahumara against some of the best ultramarathon runners... And he was invited, if he could run! Some intense training and expert advice (explained in the book), mixed with some physiological and anthropological sauce about our evolution to run dress up the remaining of the book until the onset of the race... Which I won't spoil. Go buy and read the book, I bet you won't regret it. By the way, last week I ran 20.5 km (in my recently repaired Vibram FiveFingers). A great inspiration to pick your running shoes! You can buy it from Amazon or The Book Depository (with free international shipping). Follow mostlymathsdeal in Twitter to know when this hardcover book decreases in price!